A screenshot is an image of whatever's on your screen. Simply pressing the PrtSc button will save the image of your screen to your clipboard. If you then go into a document or email, you can hit "paste", or Ctrl+V to insert the image. Pretty simple! This is a great short cut when you need to show someone something on your screen or perhaps provide instructions to someone. Hit the "Windows button" plus PrtSc and you can save the image file to your pictures folder. The Windows button is near the lower left hand corner of your keyboard - it looks like a square of four squares. This is a great time saver if you need to collect a lot of screen shots and want to save them for later use. If you just want to take a screen shot of part of your screen, you can do so by selecting the Windows Key plus the Shift Key plus "s" and this will gray out your screen and allow you to select the region you want to take a screenshot of by dragging your cursor. If you have a lot of open windows and just want a screenshot of the active window, hit the "Alt" key plus PrtSc. Often when we're working with users to troubleshoot a problem we'll ask for a screenshot to see what the error message is. These shortcuts are also helpful whenever you're creating a document such as instruction steps from your computer. Are you ready? Microsoft will stop supporting Windows 7 (and Server 2008) in January 2020. Microsoft will be ending support for Windows 7 and Server 2008 on January 14, 2020. 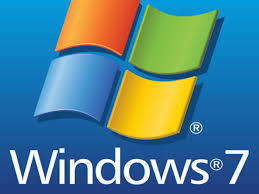 Microsoft made a commitment to provide 10 years of product support for Windows 7 when it was released on October 22, 2009. When this 10-year period ends, Microsoft will discontinue Windows 7 support so that they can focus their investment on supporting newer technologies. This is a standard part of their product life cycle. After January 14, 2020 technical assistance and automatic updates that help protect your PC and Server will no longer be made available for these products. Your systems will no longer have security protection and will be out of compliance for all major security compliance requirements (MA Data Security Law, HIPAA, etc), so it’s extremely important to be aware of this deadline and start the planning process now. As part of the planning process, it's very important to consider the impact on Line-of-Business Applications. These are the more specialized applications you may use to operate your business like tax preparation software, electronic medical records, resource planning applications, etc. Typically, all standard business applications like Microsoft Office (of course), and routine things like Quickbooks will run on Windows 10 just fine, but even though Windows 10 has been in the market for five years, we continue to see some interoperability problems with some line of business applications. It's very important to understand this before the change is made. In some cases, vendors haven't kept up and ironed out all the bugs, but in other cases, if you're running an old version of an application, you'll need to upgrade to a more current version to be able to run on Windows 10, and this needs to be factored into the plan, budget, and schedule. The same considerations are needed for upgrading from Server 2008. We’re advising everyone in our community to have a Windows 7 / Server 2008 end-of-life plan in place by the end of Q1. For everyone on a managed service plan with Ekaru, the operating system report is included in your monthly report, so that’s a good starting point to look at which systems will be affected. Note that we can now provide hardware on monthly subscription basis, so this may be a fit for many businesses. Please reach out to us with any questions and to help with the planning process.